NEW QUALIFICATION STANDARDS FOR 2019!!! Qualifying race can happen at any point before August 1st of the race year. List the anticipated qualifying race when registering for the Castle Peak 100k on Ultrasignup. List the anticipated qualifying race’s date. Provide a link to the anticipated qualifying race results page when registering. If no results page is available at the time, please provide the link to the main race page. Upon completing the anticipated qualifying race, send an email to Race Director Peter Fain (peter@runondirtcoaching.com) confirming your completion, and the results link. If you register for the 2019 Castle Peak 100k prior to completing a qualifying race, and subsequently fail to complete the anticipated qualifying race, you forfeit your Castle Peak 100k entry spot and registration fee. Please contact our Race Director, Peter Fain with any questions regarding the new qualification standards. 2019 Castle Peak 100k Registration NOW OPEN! Race Day isn’t until August 24th, but our Castle Peak 100k Team is already meeting and planning for next year’s race. With the addition of our Sugar Bowl Finish Line, and now a 2020 Western States Qualifier, our Management Team is expecting 2019 to be our biggest year yet! We are also excited to announce some new friends and sponsors who will joining us next year including Hibear Outdoors and Kogalla Adventure Lights, both of which will be raffling off some of their gear for registered runners. The Castle Peak 100k is arguably one of the most difficult trail races in the country. Masked by its spectacular beauty, this is a true mountain race unlike any other on the ultra-running circuit. This spectacular destination race takes place just outside Lake Tahoe, in the historic town of Truckee, California. A rare point-to-point course offering dramatic scenery, with big mountain climbs, and the notorious Palisades section, a 1.25-mile rock scramble testing the grit of those who are truly “unafraid”. Registration for the 2019 Castle Peak 100k opens at 6am on December 1st on Ultrasignup, and is expected to sellout quickly. The race is produced by an all-volunteer team of Donner Party Mountain Runners, a grass-roots 501(c)(3) non-profit. Racers can expect genuine support at aid stations every 4-7 miles along the course. In light of the high DNF rate on this very challenging course, we have increased the qualification standards, now requiring all registrants to complete a trail race of at least 50 miles and 7,000′ of climbing. The qualifying race must be run after January 1, 2018 and prior to registration for the 2019 Castle Peak 100k. We are excited to announce a partnership with the Lost & Found 30k & 5k put on by our good friends over at Epic Endurance Events. The Lost & Found 30k & 5k will provide Castle Peak participants a solid training race previewing sections of our course a month out from race day. Please visit e3running.com for more information and when registration will open. In addition to the Lost & Found 30k & 5k, we will offer a Palisades Preview Run. If you are unfamiliar with the Palisades section of the course, it is highly recommended Castle Peak 100k participants attend this hosted event. Please stay tuned for dates and additional information regarding this preview run. An RSVP will be required as a date draws near and is solidified. Follow along on Facebook – click here and Like our page. Get fired up and see the course throughout the seasons on Instagram this year – click here to see us on Instagram. We hope that everyone is enjoying their recovery. Our Race Management Team is still catching up on sleep, but have a few words and some exciting news to share with you. First off, we’d like to thank all of you who were able to toe the line at this years Castle Peak 100k. 2018 has proven to be our biggest, and most successful year yet. We hope that you enjoyed the race as much as we did. We’d also like to thank all the volunteers who supported each of you on your journey, and dedicated their time to make this race happen. We love our ultra-running community, and races like Castle Peak, simply do not happen without our volunteers. A very special thank you to our Aid Station Captains, and our partners that ran some of them: Pete Broomhall and ReddAntler Running (Andromeda), Mike Kreaden and the Stevens Creek Striders (Johnson Canyon), Geoff Quine and the Broken Arrow Skyrace (Summit Lake), Chaz Sheya, Abbey Drake, and Epic Endurance Events(Castle Valley),Todd Freitas, Paul Sweeney and the Tahoe Donner 4 Wheelers (Hole in the Ground), Michelle Edmonson, Kaycee Green, and the Silver State Striders (Van Norden) Robert Myers (Overload), and our very own club, Donner Party Mountain Runners (Joel Tebbutt – The Animal, Sharon Fong – Euer Valley, Gretchen Brugman – Devil’s Oven, Bill Hunter – Crow’s Nest, and Diane Frederic – Mt. Lincoln). Jim Geary, with the assistance of his granddaughter, who provided additional aid from his residence after the Hole in the Ground Aid Station deserves special recognition. If you, and your club and/or organization are interested in owning on of our Aid Stations for future Castle Peak 100k race, please contact Sean Flanagan at sflanagan@donnerpartymountainrunners.com. We have a few spots open! We would like to personally thank our volunteer shuttle drivers, Howard, Fran (Peter’s Aunt & Uncle) and JP, for their tireless effort of transporting those who needed rides to their hotel or campsite. Thank you to our Palisades Safety Crew, for guiding all of you through the day, and night, keeping you safe, and on the ropes. Friday morning before the race, we had 16 volunteers hike out 630 lbs of water to your Devil’s Oven and Summit Lake Aid Stations, a special shout out to them for the toughest job of the race. Thank you to our Land Partners, Sugar Bowl, and Kevin Roop, who gave us our new finish line, and spent most of the race shuttling volunteers and gear up to our Crow’s Nest & Mt. Lincoln Aid Stations, and the Palisades section. Sugar Bowl truly made for an epic finish, and we look forward to working with them in the coming years. Thank you to our presenting sponsor, Salomon, and their continued support over the years. Thank you to our on course electrolyte drink mix Skratch Labs. Special recognition should be given to our 4X Castle Peak Finishers: Steve Martelli, Betsy Nye, Ismael Macias, and Brent Konvalin. We are grateful for your continued support, and each year you have returned. Each one of you have helped build this race to what it is. Results are posted, and can be found here. Please reach out to us if you feel there has been an error with your reported time. All official finishers have earned themselves 5 UTMB points, something rare for a 100k race. Helen Pelster, who in addition to her Race Registration role, greeted each of you at the Finish, while also taking pictures along the course, has provided them to everyone, free of charge. The 2018 Castle Peak 100k photo gallery can be found here. Now, new for our 2019 version of Castle Peak 100k: Registration will open on December 1st on Ultrasignup. A new 10km race is in the works, starting and finishing at our Sugar Bowl finish line. We will have shuttles from the finish line to the start line on race morning, and we are working on campsites at the finish. 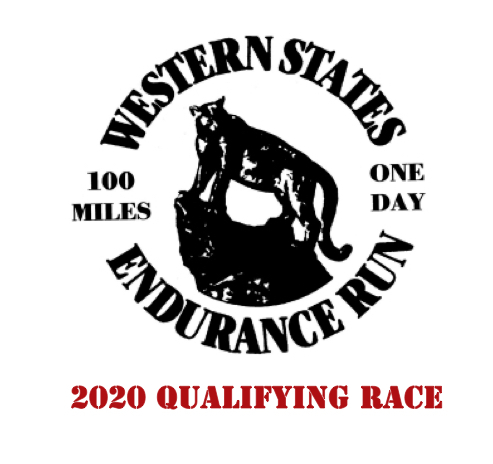 Our biggest, and most exciting news: Our 2019 Castle Peak 100k has earned the distinction of a Western States qualifier for the 2020 edition of the race. We are grateful for this honor, and would like to thank the WSER Board for this recognition. The 2018 Castle Peak 100k Runners Guide is now available! Please take some time to read through the guide as it contains valuable information regarding the race. You can find the guide here.